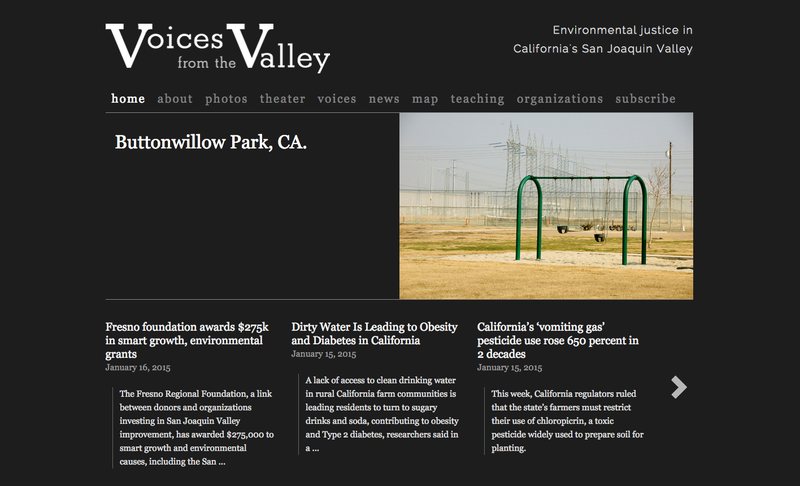 Voices from the Valley (formerly “25 Stories from the Central Valley”) features a bilingual photo exhibit, interactive theater performances, teaching tools, oral histories, and a news feed/archive about the environmental justice movement in California’s San Joaquin Valley. I designed it in collaboration with environmental justice advocates around the 25 interviews I conducted with women environmental justice leaders for my Master’s thesis at UC Davis. September 21, 2010 at the United Farmworkers of America’s 40 Acres, Delano. Kickoff evening event for the second San Joaquin Valley Funders’ Tour organized by the Women’s Foundation of California. Photo exhibit at the Fresno Regional Foundation. Spring/summer, 2012. Slideshow shown at the Labor Across the Food System conference, Santa Cruz, CA. February 5, 2012. Slideshow shown at community reading and Japanese anti-nuclear benefit, The Opening, Santa Cruz, CA. October 22, 2011. I speak about this project regularly. Check out my CV for a list of classroom, conference and community presentations. Photos contributed for use in “Land of Risk/ Land of Opportunity: Cummulative Environmental Vulnerabilities in California’s San Joaquin Valley” by Jonathan London, Ganlin Huang and Tara Zagofsky. UC Davis Center for Regional Change, November, 2011. Cover photo of Pesticide Drift and the Pursuit of Environmental Justice by Jill Harrison, MIT Press, 2011. Slideshow accompaniment to “Global Warming Law Shifts Responsibility from Polluters to Communities” by Jeff Conant, AlterNet, April 21, 2011. Earthjustice newsletter and blog post for a national campaign to create pesticide buffer zones, 2009-2010. River parkway exhibit features Valley’s people, Vida en el Valle, by Rebecca Plevin, February 16, 2011. Women Lead the Fight for Pesticide Reform in California’s Central Valley Ecosalon.org, by Vanessa Barrington, September 2, 2010. Sprayed, Stripped and Poisoned, One Town Fights Back… and Wins Change.org, by Ben Proffer, August 27, 2010. Photoblog: Women Sowing Change in the Central Valley Women’s Foundation of California Blog. August 20, 2010. “Women Leaders of the Central Valley Environmental Justice Movement,” Local Dirt, Producer Alida Cantor. KDVS-FM Davis, CA. June 3, 2008. “Advancing Public Service” profile for The Campaign for UC Davis. August 1, 2011. 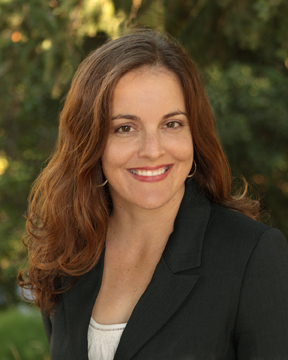 Winner of the 2011 Robert Dentler Student Achievement Award given by the American Sociological Association’s Section on Sociological Practice and Public Sociology.